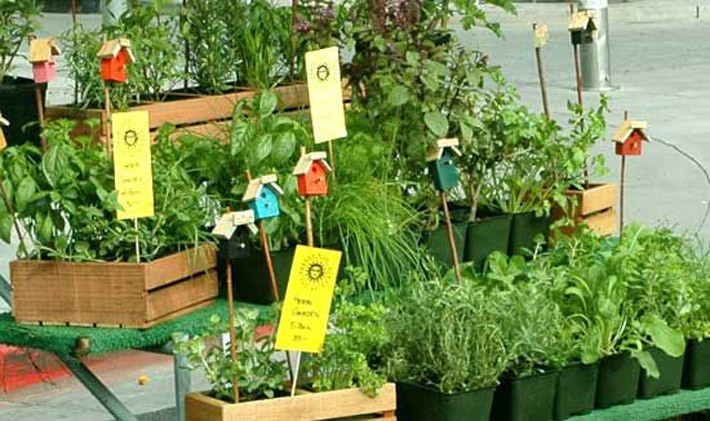 Growing a kitchen garden is one of the most romantic things an organic foodie can do, really! It connects you with your food and is a great way for you and your significant other to get down and dirty! If you have kids and find it difficult to get them to eat their veggies, get them involved in growing their own kitchen garden. Let them pick out their favorite fruits and veggies to grow and nurture. They just might eat a few more veggies if they grew them. 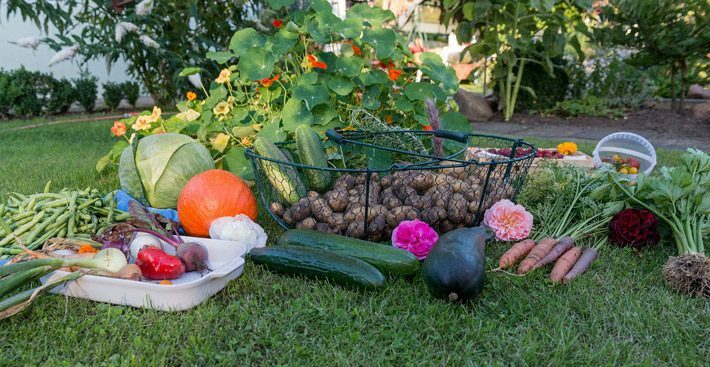 Or if you want to simply improve your overall health and lose a few pounds by adding more organic foods to your diet, growing your own is great way to get started. And it might even inspire you to get in that kitchen and cook up some easy and delicious healthy recipes. The added bonus, you’ll be avoiding all of those yucky pesticides and chemicals that simply aren’t healthy for us. A study released in the journal Pediatrics concludes, exposure to organophosphate pesticides at levels common among America’s children are more likely to develop attention deficit hyperactivity disorder (ADHD) that is common in today’s children. What’s great about gardening is ironically it doesn’t require a lot of space. You can easily container garden if you don’t have a large front or back yard. 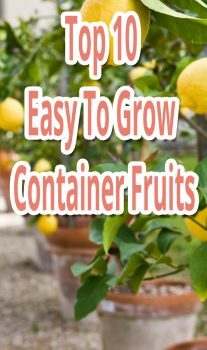 You might be surprised what you can grow in a container from vegetables, herbs, lettuce to fruit. 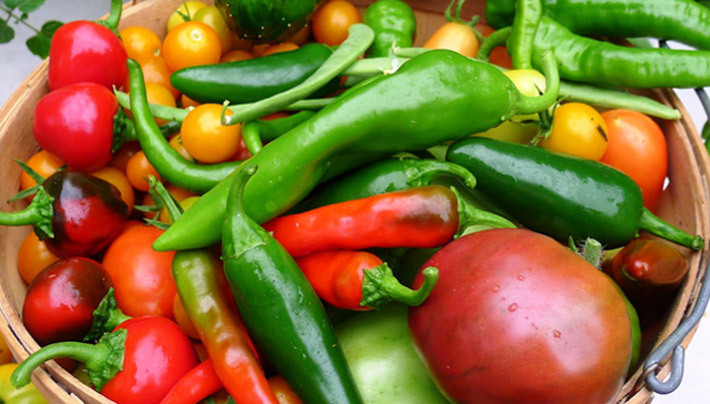 Your gardening efforts will most likely yield more fresh produce than you can handle. You may find you’ll be giving away more than you can cook or eat. Or you can do what I do and throw a party to eat all of your home grown goodness! Some tips for success, find out what growing zone you live in, and discover what grows easily in your region by talking to your local nursery or research it online. Once you’ve discovered the best plants to grow in your climate, find out what kind of sunshine they need. Examples include full sun, partial or full shade, and plant the appropriate plants in the right spots according the light they need. So here is a list of 111 things to grow in your home garden and inspire you to get into the kitchen. You can’t get any more local and organic than this! Herbs are simply one of the easiest things you can grow. You can grow them inside on your kitchen window sill, in an outdoor pot or of course in the ground. In my experience, herbs do better when planted in the ground or a nice size pot. Adding fresh herbs to any dish is one of the easiest ways to pump up the flavor in any healthy recipe! Use your favorite combination of herbs to make a fresh pesto pasta! Bee Balm – Also known as bergamont, can be used in tea or to garnish dishes. Chamomile – Use this to make tea. It also is a great ground cover. Chives – Their blossoms or flowers are excellent for garnishing salads, cheeses or vegetable dish. Chocolate Mint – Use chocolate mint to make this delicious fresh chocolate mint ice cream recipe. Cilantro – A favorite in ethnic cuisine like Mexican, and Thai foods. Cilantro Delfino – If you have a hard time growing cilantro because it bolts, try this! It can last twice as long. Creeping thyme – A great ground cover! English lavender – I use lavender to make this delicious ice cream recipe in the summer. Lemon verbena – You can use lemon verbena to make this delicious ice cream recipe. Marjoram – This is like a secret ingredient in some of my dishes. And it comes back every year in southern California, so you don’t have to replant it every year. Pineapple sage – Great in fish dishes. Red leaf basil – This is a favorite and crowd pleaser. It is beautiful in this Organic Heirloom Tomato and Red Ruffle Basil Salad. Society garlic – The flowesr are great for garnishing dishes. Tarragon – If you are growing tomatoes, plant tarragon underneath your tomatoes. Artichokes – great for arid climates because they don’t require a lot of water. Jerusalem artichokes or sunchokes – Make Cream of Jerusalem Artichoke Soup. It’s nutty flavor is delicious! Ah, edible flowers, these are one of my favorite garnishing tools! Using edible flowers to decorate a homemade dessert, side dish or salad creates a stunning dish. However, there are a few tips you want to follow when using these decorative beauties. 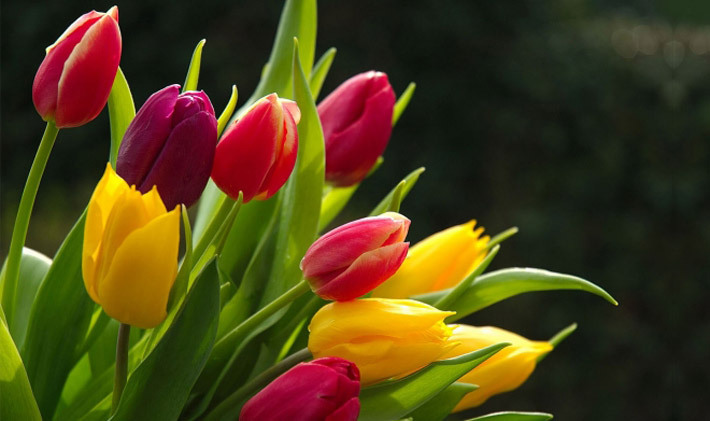 Never eat flowers that come from a florist or nursery unless you know they are grown organically without the use of yucky chemical pesticides. Confirm that any flower you want to use in a dish is in fact edible, not all flowers are edible. To clean edible flowers, shake each flower gently upside down to dislodge any critters hidden in the petals. Then gently place them in a sink partially full of water and add a couple of tablespoons of distilled white vinegar, and gently agitate or swirl the flowers around with your hand to clean. To dry, remove flowers from water and place on a tea cloth (instead of the not so eco friendly paper towels), and gently roll to dry. Citrus geranium – Use leaves to infuse ice creams or custards. Use the flowers to garnish desserts, drinks or veggie side dishes. Hibiscus – Use to make a tea or garnish dishes. Honeysuckle – Sweet honey flavor. I remember sucking on the sweet flowers as a kid. Impatiens – These flowers are great for floating in drinks or garnishing a salad. Johnny-Jump-Ups – These purple flowers are perfect for decorating cakes and garnishing salads. Marigolds – Plants these near tomatoes to deter pests. The flowers can be used as a substitute for saffron. Martha Washington – I used these gorgeous leaves to decorate this cake. Nasturtiums – Snails seem to stay away from nasturtiums and they self seed! Nutmeg geranium – Use leaves for infusing, see above. Pansies – Have a sweet green, grassy flavor, great for garnishing dishes. Peony – The petals are beautiful for floating in cocktails or garnishing dishes. Rose geranium – Use leaves to infuse ice creams or custards, and use the flowers to garnish desserts, drinks or veggie side dishes. Roses – Are great for decorating cakes, floating in drinks or garnishing dishes! Squash blossoms – Great for stuffing with ricotta cheese! Violets – Related to Johnny-Jump-Ups, come in some amazing colors like yellow, purple, apricot, and other pastel hughes. 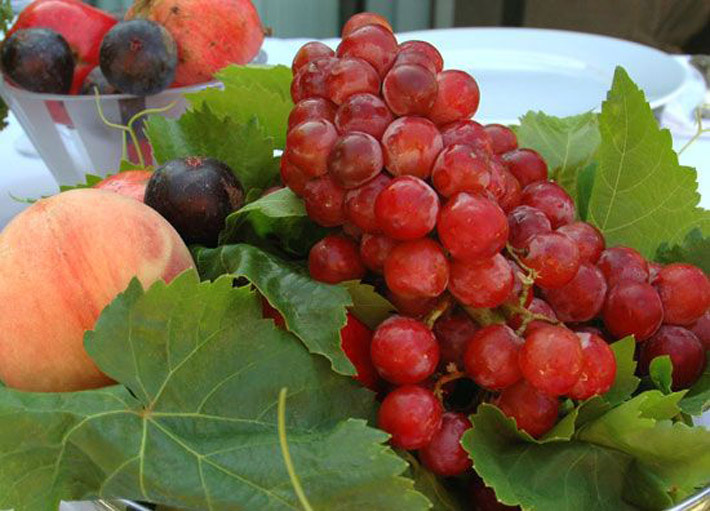 Apples – Believe it or not, they can be grown in containers! Cherry tomatoes – These are very prolific, if you have to much make Oven-Dried Cherry Tomatoes. Figs – Figs are a late summer favorite! Make this Organic Fig Almond Fangipani Tart . Heirloom tomatoes – These can get expensive, so grow your own! 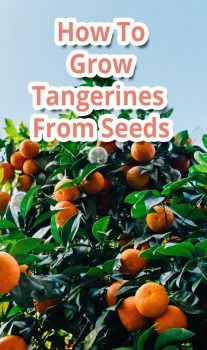 Lemons or Meyer lemons – These can get expensive, if you are in the right climate, grow them! Strawberries – The alpine strawberries are like candy, my dogs love to eat them off the vine. Tomatillos – A favorite in Mexican dishes. If you’ve never tried this fruit they are a must! Watermelon – Use it to make this Watermelon Bombe for your kid’s next party – they’ll go crazy! Lettuce and greens are some of the easiest things to grow. We have lettuce growing like weeds in our front and backyard cement cracks! 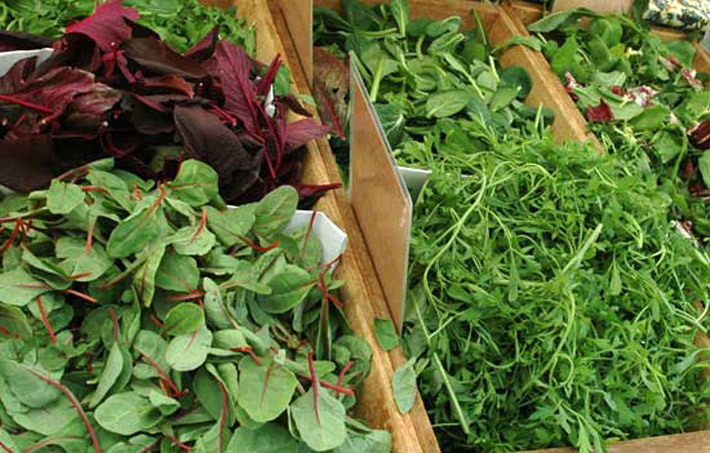 Arugula or rocket lettuce – This Italian favorite is a must if you like spicy lettuce! Black Seeded Simpson – Super easy to grow, it grows like a weed just about anywhere. Upland Cress – Similar to arugula, this lettuce has a spicy zing (but a bit milder then arugula). Remember getting your kitchen garden going doesn’t require much space. If you are new to gardening, find out what grows easily in your growing zone, look at what kind of light it requires, and then choose 3-5 of your favorite herbs, veggies and fruit to grow. Of course you can grow more if you are ambitious. Also take a look at what you love to buy in your store but tends to get expensive and see if you can grow your own. These simple tips will save money and help you and your family get healthy!